Temporary closures of the Traunstein - Salzburg line, followed shortly afterwards by the Rosenheim - Kufstein line, led ÖBB to divert trains that normally run via the German “Korridor” from Salzburg to Wörgl for more than a week at the end of October 2014. 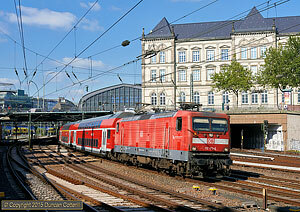 I spent 3 days photographing the diversions and normal services on the Wörgl to Schwarzach-St. Veit line. 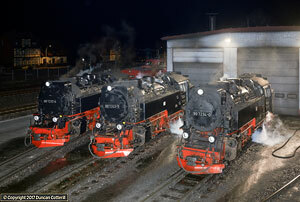 An 8 day visit to the Harz Moutains in northern Germany in late January and early February 2014. 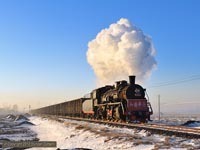 The aim was to photograph metre gauge steam in the snow on the Harzer Schmalspurbahnen's 140km network. 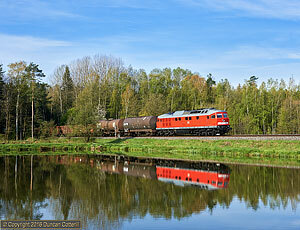 The report includes a brief look at the current scene in the Hannover area with the emphasis on freight. 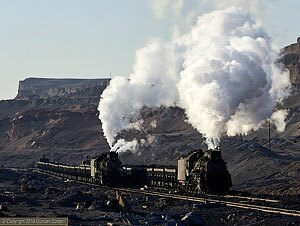 A trip to photograph steam locomotives on the best industrial lines, including the huge opencast coal mine at Sandaoling, the largest industrial steam user, with around 17 locos required in traffic every day, and the last large scale user of JS class 2-8-2s. The SY worked Fuxin and Pingzhuang mining systems and the old steelworks at Fushun also featured. 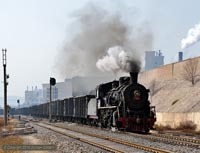 Diesels and electrics were not ignored entirely with visits to Beijing's main station and to the Fushun Mining Railway, with its remarkable electrics. 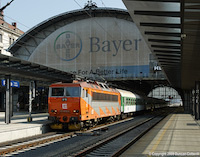 This trip was originally conceived to cover the electrified München – Mittenwald and München – Salzburg lines, both of which have loco hauled regional services threatened by the arrival of new EMUs in December. 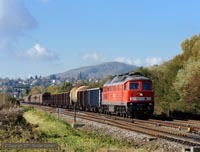 As a bonus, the weekend closure of the Traunstein - Freilassing line produced a rare opportunity to photograph diesel hauled diverted ECs on the scenic Mühldorf – Freilassing line. 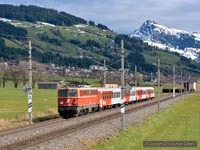 This report covers a six day trip to the Berner Oberland in central Switzerland in July 2013 and details visits to a number of mountain railways, including the Wengernalpbahn, the Jungfraubahn and the Schynige Platte Bahn. 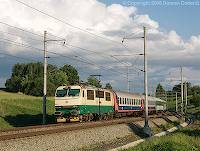 The Zentralbahn's 70 year old class 110s are covered, as they work out their last miles before withdrawal, and the BLS's iconic Re4/4 "Brownies" also feature. A brief visit to Switzerland in early May 2013. The aim was to get some shots of loco hauled trains between St. Gallen and Chur before new EMUs take over in June and to see the recently resurrected Ae6/6s on stone trains around Bülach. 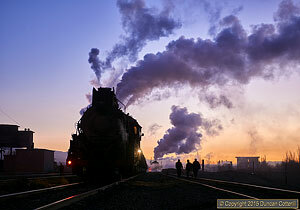 A three week photographic trip to Germany, concentrating mainly on diesel worked lines and with the emphasis on freight. 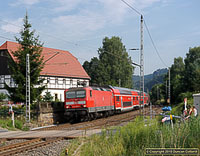 Lines visited included the busy electrified routes along the Mosel, south of Koblenz and the Elbe, east of Dresden, the diesel worked Hoyerswerda - Horka and Reichenbach - Hof lines in the former DDR, the Wismut industrial operation and the Mühldorf area and the Allgäubahn in Bayern. After ten years a return to the Gotthard Pass was long overdue. The Gotthard is one of Europe’s busiest freight routes, carrying heavy traffic between Germany and Italy through the heart of the Swiss Alps. While in Switzerland, I also followed a tip off that there were some worthwhile photo positions around Frick on the Basel - Zürich line and had a look at the MGB’s metre gauge line around Andermatt and the Oberalp Pass. An autumn trip to the Rhätischebahn, in south-eastern Switzerland. The trip turned out a little differently to what was expected due to bad weather. 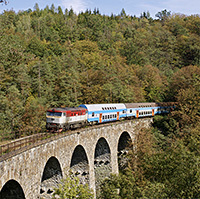 Despite the problems, there was still plenty to photograph in the beautiful Graubünden landscape, including the Berninabahn in its last autumn before the arrival of new EMUs and the veteran class Ge4/4i electrics, some of which are over 60 years old. I spent a couple of days in Germany on my way to and from the Czech Republic, visiting the Gemünden - Würzburg line on my way out and the Bebra - Fulda line on the way back. 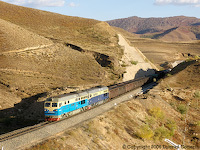 Both routes carry very heavy freight traffic hauled by a variety of electric classes. This was my third trip to the Rhätischebahn, Switzerland's most extensive metre gauge railway. 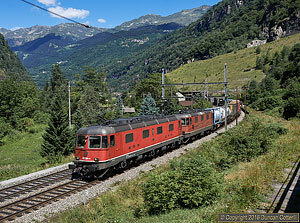 The RhB operates a fleet of around 50 locomotives on passenger and freight trains in an area noted for its magnificent Alpine scenery and is a photographer's delight. Winter in the Swiss Alps attracts skiers and snowboarders in huge numbers but what would it be like for a railway photographer? 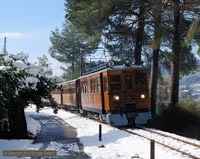 In spite of doubts about the weather, I decided to visit the Rhätischebahn in south-eastern Switzerland from 19 to 23 December to find out. Once again, the RhB exceeded all my expectations. A short holiday on the Mediterranean island of Mallorca included a couple of days photographing the vintage electrics on the Soller Railway.